The Thanksgivings we see on TV and on the cover of magazines usually involve a large group of family and/or friends gathered around a table overburdened with amazing food with a giant, bronzed turkey at the center of everything. When that happens in real life, it’s a beautiful thing. I’ve been a part of many huge family Thanksgiving meals, and they were awesome. That’s not always how it works out, though. My first Thanksgiving in Taiwan, I ate a turkey bacon swiss melt by myself in the only American diner in my city. It was a bit sad. Now I’m married, and even though my husband has had to work the past three years on Thanksgiving, I no longer have to eat my turkey alone. We still live thousands of miles from my family, though, so it’s been a long time since I’ve felt the need to make an actual turkey. It was take us all year to eat one by ourselves. 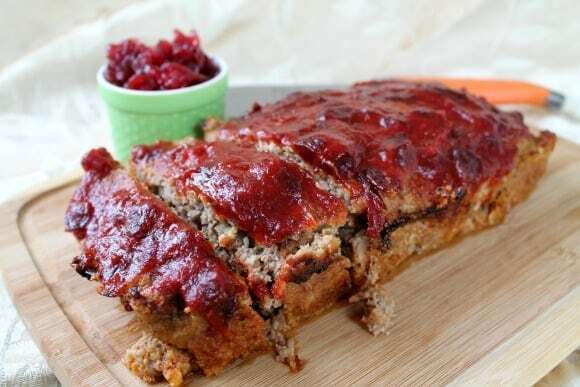 Our new tradition is this Cranberry-Glazed Turkey Meatloaf. It is unbelievably tasty, has all the awesome Thanksgiving flavors, and is perfect for two to four people. Even better, you can have it on the table in a little over an hour. No need to wake up at the crack of dawn to put a giant turkey in the oven. And wait, there’s more. A pound of ground turkey costs about six bucks. I can’t remember how much a whole turkey costs, but I know it’s not six dollars. No matter if you’re solo, duo, or part of a crowd, Thanksgiving is one of the best days of the year. Make your life easy and awesome. 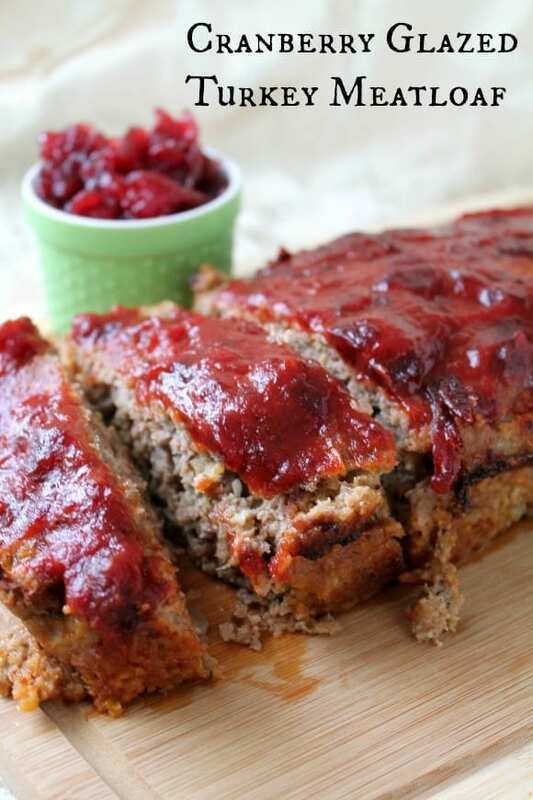 Skip the turkey, make meatloaf, be happy. 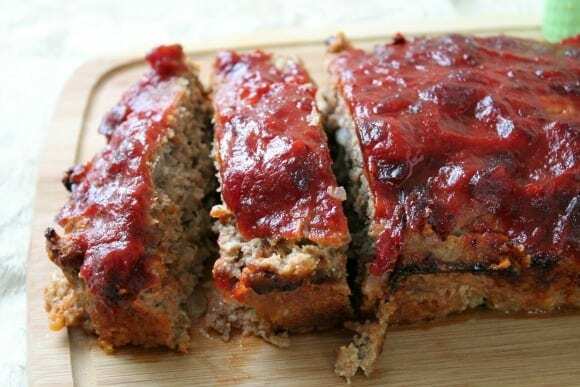 This easy and delicious cranberry glazed Turkey Meatloaf is the perfect Thanksgiving alternative for a small family. Preheat oven to 350 and spray a loaf pan with non-stick spray. In a small bowl, stir together cranberry sauce and chili sauce until combined. Set aside. Put the remaining ingredients into a medium mixing bowl, including a third of your sauce mixture. Use your clean hands to lightly but thoroughly mix all ingredients. Press your meat mixture into the loaf pan and bake for an hour. Remove from oven and spread the rest of the sauce over the top of your meatloaf. Put it back in the oven for 10 minutes. Allow the meatloaf to rest before 10 minutes before slicing. Serve to your small family and relax. Your work here is done.